The Market Management Board in Ho Chi Minh City has stepped up checks on food commodities and tobacco items since last week. While checking on 16 food businesses, inspectors discovered six had no certificates to import commodities and confiscated 115 foreign-made wines, 52 barrels of beer, 528 cans of Redbull energy drink, 44 kilograms of Chinese-made powder seasoning packs, 79 cans of dairy products and other confectionary items. In addition, inspectors’ uncovered one shop that had no food safety certificate, one selling food items without Vietnamese labels and one company selling 10,056 out-of-date Durukan imported sweet cans. Of the 16 stores that inspectors visited, five did not list the price openly and two had no certificates to sell wine. 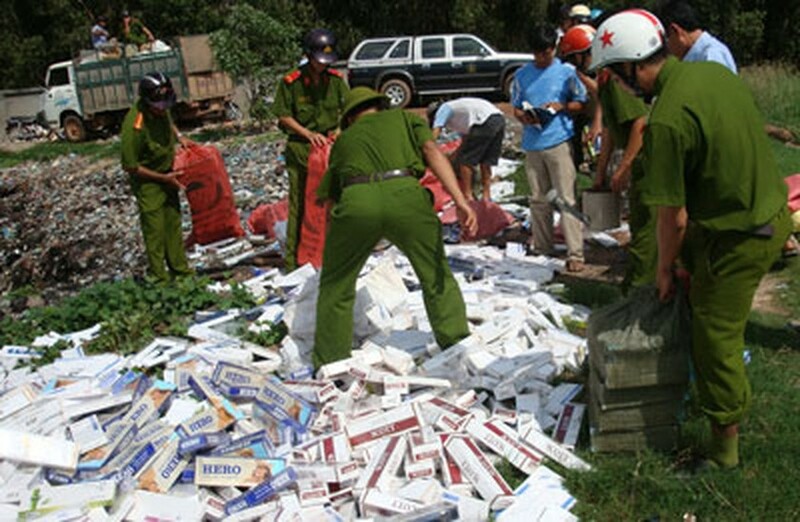 Market managers also dealt with 10 cases of smuggled cigarette cartons in shops in Districts 3, 10, 12 and Cu Chi, and seized 3,888 cigarette cartons from roadside stalls in District 5.